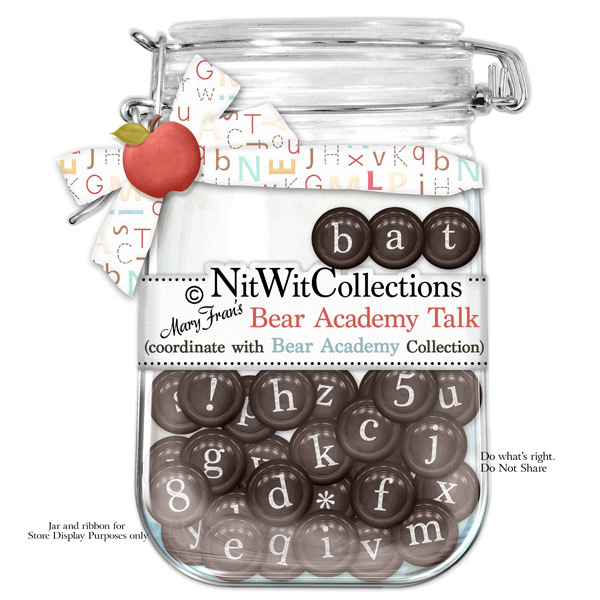 "Bear Academy" Talk has our best printing on these tiles!! Now we're not going to help with spelling (cause that would be cheating) but we also won't be marking your layouts and cards with a red pen, so feel free to spell whatever you wish! Also included are some of the math symbols so you have many choices with this alpha. 1 AlphaWit set of lowercase letters, addition sign, &, apostrophe, division sign, exclamation mark, multiplication sign, period, question mark, quotation mark, subtraction sign and set of numbers (0 to 9).